Joel Edgerton, Loving - Courtesy of Focus Features. Im quite ashamed to say I did not know the Loving story,” says Jeff Nichols, writer and director of Cannes darlings like Mud and Take Shelter—who was introduced only a few years ago to the tale of a mixed-race couple that famously fought anti-miscegenation laws in 1960s Virginia. 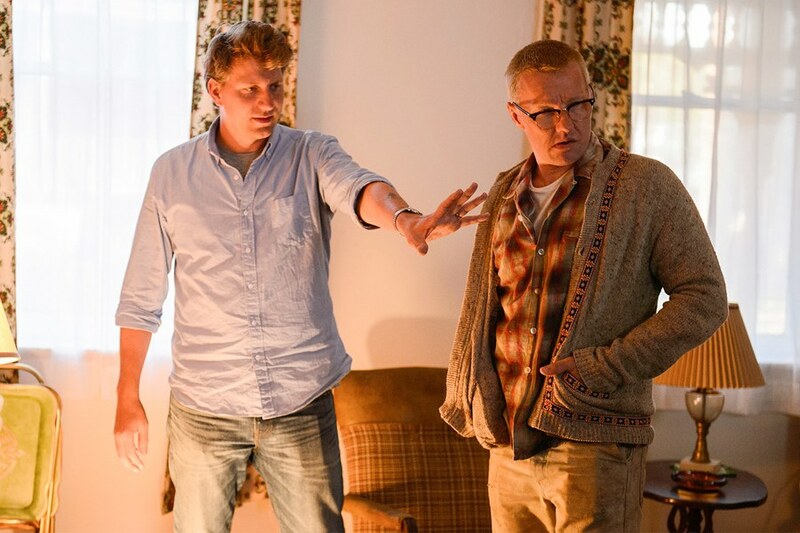 Jeff Nichols, left, with Joel Edgeton on set. - Courtesy of Focus Features. It worries me with actors as well. As flattering as it is that people say, “I want to be in a Jeff Nichols film,” it’s kind of like, “Ah, I just want you to want to be in this film.” No one cared about me when I sent Mike Shannon Shotgun Stories. Matthew McConaughey didn’t particularly care about me when he read the script for Mud.They responded to the material. And that’s ultimately what I want. I remember specifically Kirsten Dunst before Midnight Special being like, “I just want to be in a Jeff Nichols film.” And again, as flattering as it is, you’re like, “I don’t want you thinking about that. I want you thinking about, do you want to play this part in this story?” So maybe there’s some overlap with the producers.